Anything that can be done online can be done on Fiverr.com. Professional business services such as logo design, content writing, translation services, videos editing and development, image editing, business plan development, online research, website development and testing, etc. are some of the most common things available on Fiverr. 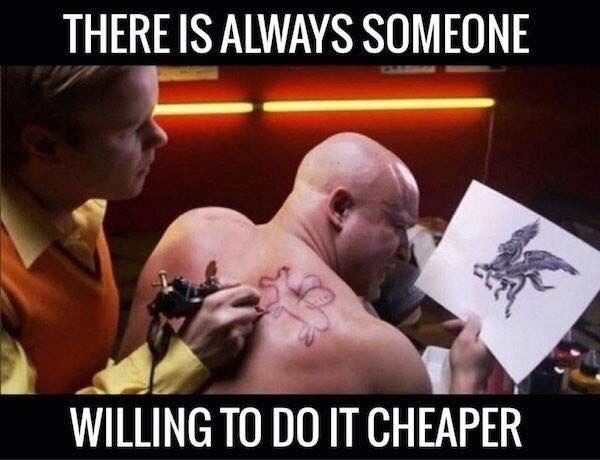 And most of the services start at just $5. I have purchased following items from Fiverr at just $5 each. I can’t get a better product from anywhere else at $5. I have bought several other items at Fiverr and quite happy with overall service delivery. Not all buyers are happy with the services. Many feel that it is a waste of time and money to buy things on Fiverr. However, at the same cost, you can get a better quality of output than others, if you do things differently. Fiverr is an excellent marketplace for creative and professional services. You can take maximum advantage of it if you know how to get things done especially through outsourcing. The truth is, smart business people and marketers save thousands of dollars by buying services on Fiverr. In fact, many professionals buy the same service from Fiverr at $5 and sell it to their clients at $100 or more. Write down the instructions clearly. Leave no space for any doubt. Use references wherever applicable. Don’t use words or phrases such as “I want best quality content” or “something that convinces users to take action.” These are subjective expressions which have no relevance for sellers. What is best for them may not be good for you and vice versa. Before selecting a seller, read their requirements clearly. Do provide what all information they need to deliver your services. Communicate with them clearly and provide accurate feedback in a professional manner if the output is significantly different from your expectations. Pay attention to reviews, comments, ratings, and service package description of each seller. Evaluate sellers on these parameters. Shortlist the sellers who meet your requirement closely. Don’t get confused. Select the one who seems to be flexible and trustworthy. In case of any doubts, send a message to the shortlisted sellers and clarify your doubts. Select the final seller or freelancer whom you will hire – Before finalizing a vendor, you should send the project details to them and get their final quote to avoid any confusion during the delivery of services. Send the project details through message including all relevant attachments. Once the work is performed to your satisfaction, close the project and leave a rating for the seller. Do remember that if you are not satisfied with the services, then you may request a refund. Once your refund is processed, you will have the option to buy the services from other vendors. Thus, your money is safe. Don’t buy SEO backlinks, website traffic or anything that seems fishy or impossible to achieve in real life. Buying such services can hamper your site’s reputation. In the past, many webmasters have complained that after buying traffic from Fiverr, their sites got penalized by Google. So beware of such services that offer some guaranteed results especially in the online marketing space. Software Keys (software that is available on the market at $150 per annum can be found at $5 on Fiverr). While these items are fake, many times it works well for buyers to purchase them as they need cheap stuff irrespective of quality. For example, if a politician needs millions of Twitter followers, they can buy the same at Fiverr. To them or their supporters and media, quantity is more important than quality. Similarly, customers buy mobile app installs and reviews to boost their temporary online reputation. Many a time, people also buy the null version of software on Fiverr at far cheaper rates than the cost of the original software. However, Fiverr can’t be blamed for such activities as it is a marketplace that facilitates buyers and sellers to do meaningful transactions. What you buy or sell may be your choice. However, over time the platform has taken a serious note of such vendors and trying to debar them from selling unlawful services. Fiverr is a fantastic platform for buying professional services. I strongly recommend it to entrepreneurs and small businesses, who need to save every penny they can to run their activities smoothly at initial stages of their business formation. Until you need very high-quality services, you can trust Fiverr to get the basic work done at affordable price.